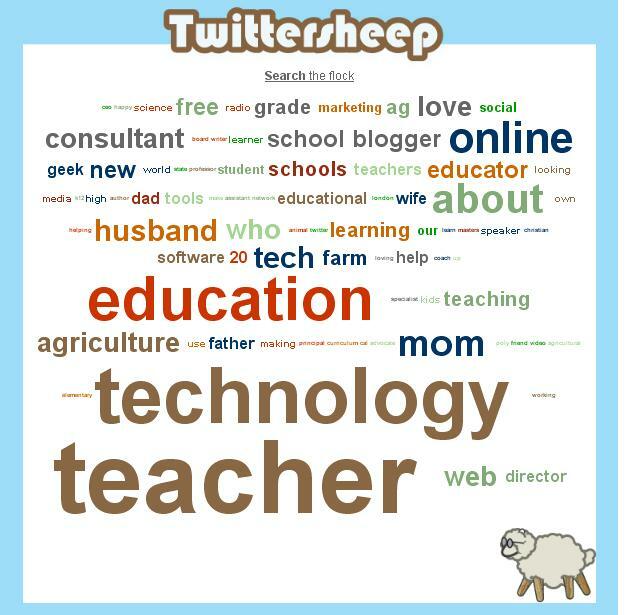 I thought this would be a good time to revisit my post about “My Twitter Followers Bio’s as a Word Cloud.” I used a site called Twittersheep to create a word cloud from the bio’s of my followers. When I put this post up the first time, I had about 100 followers. I am now approaching the 250 mark (a milestone for some, a drop in the hat for others). This is great, it is hard to believe that I have so many people that are interested in what I might have to say (I am definitely interested in what they have to say). My PLN is growing and I am learning new things daily. I was curious how my followers would fare this time. The biggest words in the cloud last time: “technology” & “teacher.” What would they be this time? To my pleasant surprise “teacher,” “technology” & “education.” Thanks for following everyone. If you are not following me, check out iteachag on Twitter.